Welcome to Ward 5 Online: Somerville Local First Harvest Fest Set for Saturday! 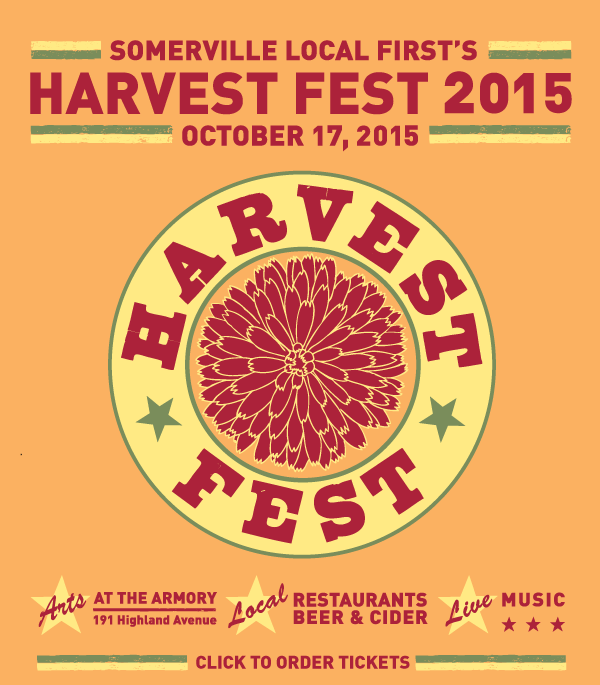 Somerville Local First Harvest Fest Set for Saturday! 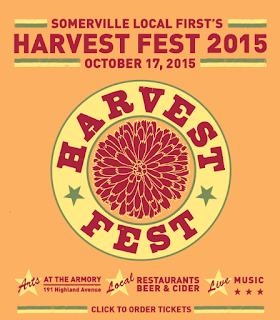 Somerville Local First will be hosting their annual Harvest Fest this Saturday October 17th at the Armory! The event is made up of two sessions: savory and sweet! Harvest Fest is Somerville Local First's major annual fundraiser. All event proceeds go towards SLF's operating budget to build and strengthen the local movement and local business community in Somerville all year long. Tickets are still available, but are going quickly! Get yours while they last. It appears day and timewise, this event is going to clash with the Monster-Mash event on Somerville Avenue. No, it's not. Monster Mash is on Sunday the 18th. I'm the person who posted the wrong info and stood corrected. Good to hear I was wrong because, with both events, and the weather holding up (albeit much cooler weather forecasted) will be a fun week-end in Somerville.